California rockers Red Hot Chili Peppers recently arrived in Kyiv to perform at the U-Park Festival, according to Ukraine Today. Ukrainian model Nadiya Shapoval published the photos of the band members on Instagram, Ukraine Today reported. The musicians paid a visit to the girl, while bass guitarist Flea even tried to play the bandura for her. However, the musician failed to cope with the traditional polychord stringed Ukrainian instrument. 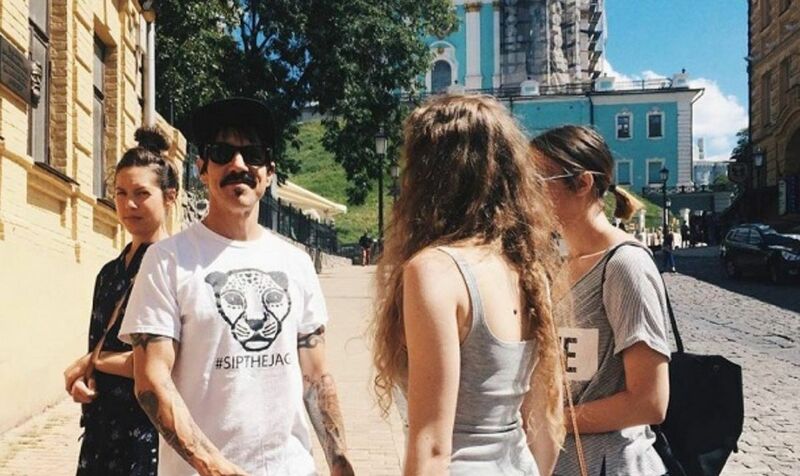 Red Hot Chili Peppers frontman Anthony Kiedis was pictured having a stroll around Andriyivsky Uzviz (the street, often advertised by tour guides and operators as Kyiv's Montmartre, is a major tourist attraction of the city). 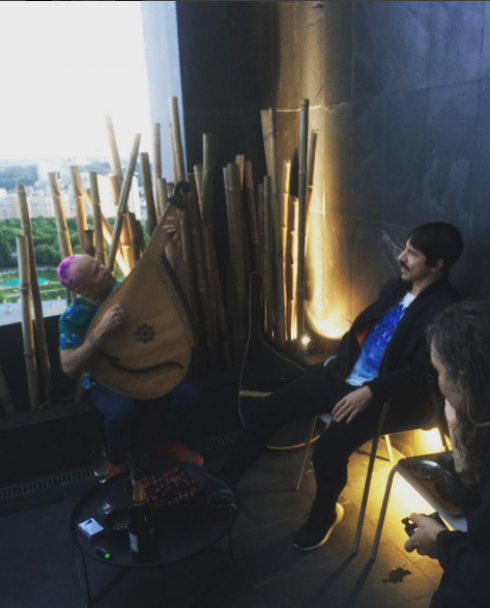 "Peppers" will perform with more conventional instruments at the U-Park festival July 6, at Kyiv's National Olympic Stadium.